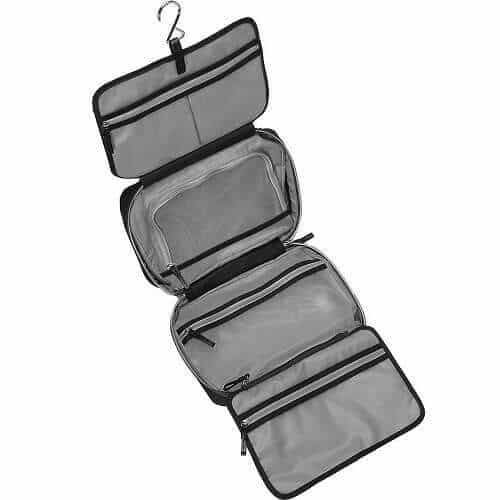 This toiletry bag transforms into a hanging toiletry kit – it unfolds to four storage compartments large enough to store all of your toiletries. 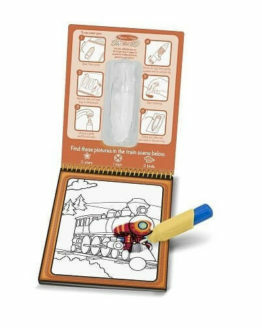 It has a detachable pocket so you can choose to take the essentials with you when you travel. If you want a perfect storage solution for your toiletries when you travel, this elegant Jagurds toiletry bag might make be what you are looking for. Thoughtfully designed with 4 different compartments for your storage needs, there should be sufficient for your make up, shaving cream, shampoo, beauty products, and other toiletries. 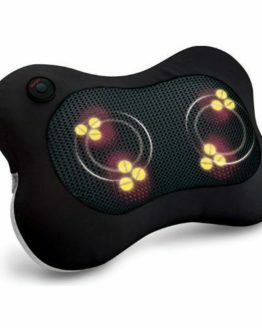 It has clear pockets so that it is easy for you to spot and sort your belongings in a cinch. 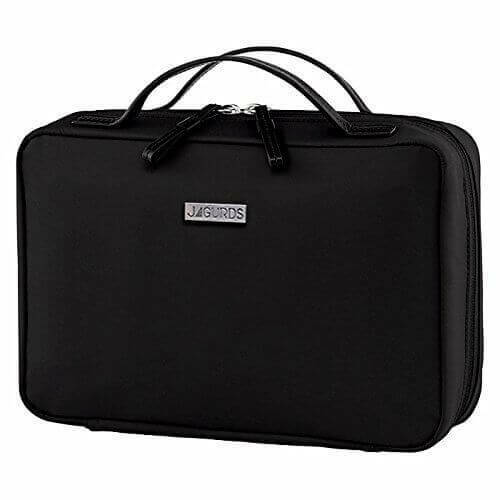 This Jagurds toiletry bag also converts to a hanging toiletry kit with a hook so you can access your items conveniently by hanging the bag in the shower bar or towel rack. 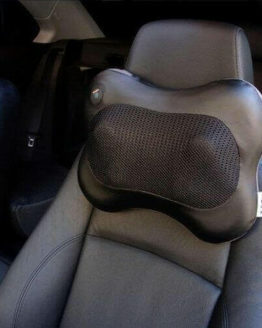 Its interior repels water so spills are easy to clean in case of accidents. 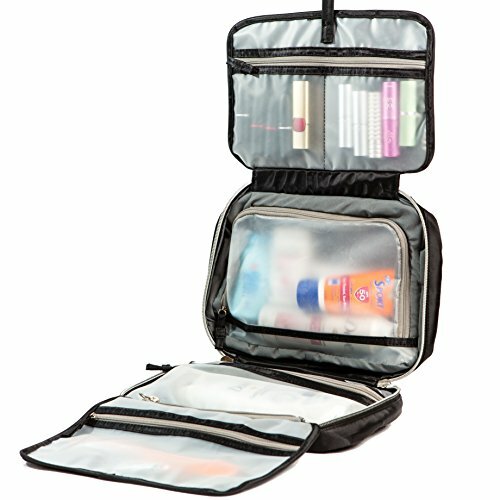 PLENTY OF SPACE: This hanging toiletry kit unfolds to four storage compartments large enough to store all of your toiletries. 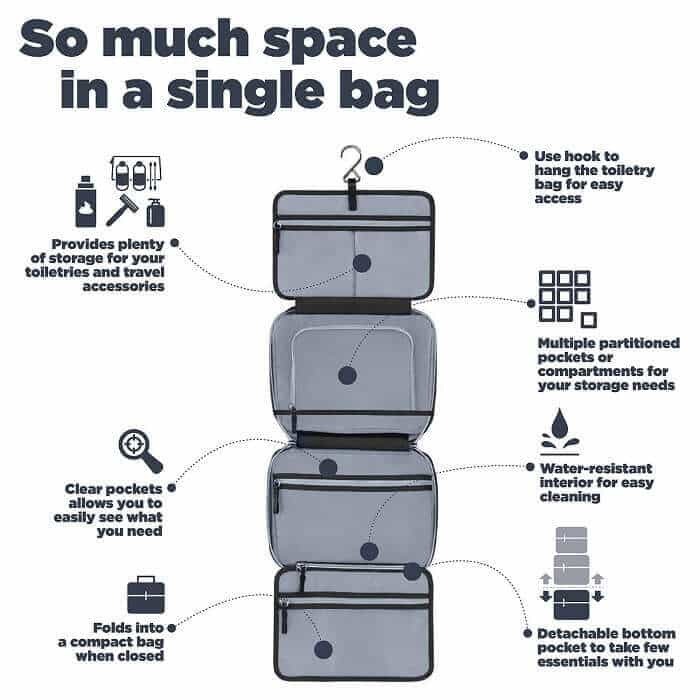 When the space is fully utilized, it provides more space than your TSA approved quart bag. 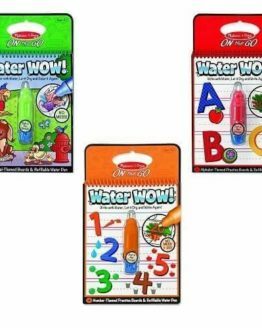 CONVENIENT TO USE: It includes a detachable zippered pouch at the bottom, which is ideal for taking few travel essentials with you on the go. 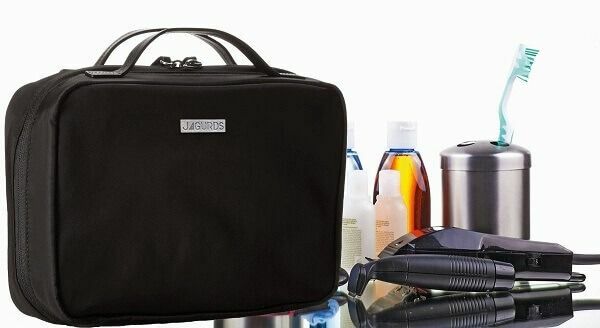 Jagurds toiletry bags have a top handle to make it portable and easy to handle. 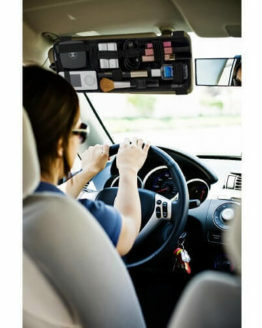 CONVERTS TO A HANGING TOILETRY KIT: For your convenience, this travel accessories organizer includes a hook that can be placed in most shower bar or towel rack in hotel bathrooms. 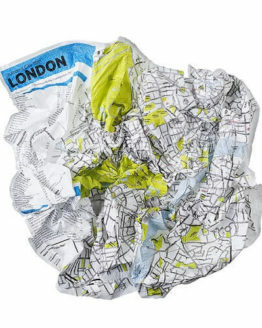 It can also be converted into a counter-top toiletries bag as needed. EASY TO CLEAN AND ORGANIZE: The waterproof fabric lining keeps your toiletry kit clean and dry from accidental splashes of water. The clear interior makes it easy to spot what you need. 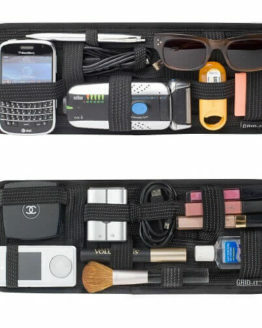 ELEGANT: Perfect for both men and women, this hanging toiletry kit lays flat on your luggage, duffel bag, backpack, or other travel bags without the unnecessary added bulk, and looks great! 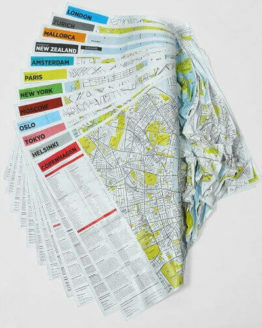 It is the best gift for a busy traveler, those out camping with the kids, travelon family vacation or on an international business trip. Available at Amazon.